Originally posted on High Heat Stats. Back in 2010 the New York Yankees were in possession of a pair of talented minor league catchers by the names of Jesus Montero and Austin Romine. Both players were considered top-100 prospects by Baseball America and both players appeared to be on their way to long, prosperous careers. Romine was considered the finer defender of the two, topping out at #86 in Baseball America’s rankings while Montero was thought to be a powerhouse offensive force, ranking among the top 5 minor league players in the game. While Yankee fans spoke well of Romine they positively salivated at the idea of putting Montero’s prodigious power behind the plate as visions of 35 homer seasons danced in their heads. There was a catch however. Montero’s defense was considered to be so shaky by the Yankees brain trust that rumors of him becoming a full-time DH were already circulating before he could even advance past Double-A Trenton. Scouting reports pegged Montero’s glove work as shoddy and his throw times to 2nd base as well below Major League average. What Does Seattle Have Going Forward? The Seattle Mariners, as currently constructed in the AL West, sit a miserable 16.5 games out of 1st place in their division and they are 10 out in the Wild Card race, possessing the worst record in the American League at 36-51. They once again are last in the American League in runs scored, having only mustered an anemic 3.87 per game, making Seattle the only team on the junior circuit scoring less than 4 per game. This is a problem, because this puts Seattle on a pace to finish last in the AL in runs scored for the 3rd consecutive year, and there doesn’t appear to be much hope on the horizon, because the youngsters who were supposed to turn the M’s offense around have already arrived, and they have hardly made a dent. What can Seattle do? They haven’t made the playoffs since 2001 and have only had 2 winning seasons since in the last 10 years. This is a team stuck in mediocrity and with division rivals Texas and Los Angeles at the peak of their success cycles, it looks like a very long road to the top for the Mariners. Should they trade off what they have and try to start over again, or should they keep the course and hope that this is a learning year for many of their young players? Let’s take a look, staring with 1st baseman Justin Smoak. With a quarter of the 2012 season in the books, many teams around the league are having an issue with the play of their 1st basemen. Over the past decade 1st base has been the strongest position in the Majors, boasting MVP candidates annually in both leagues. But this season many of these players have been black holes in their respective lineups, sucking up and wasting at-bats, contributing to losses. Lets take a look at some of the biggest culprits of bad play so far. Hosmer has been terrible at the plate this season, ranking as the worst everyday 1st baseman in the American League thus far. He is still hitting under the Mendoza line, and none of his triple slash stats (.191/.260/.333) are even league average. A big part of Hosmer’s problem has been a drop in his line drive rate from 17% way down to 11%. Line drives drop for base hits more frequently than any other kind of hit, and having a rate 7% below league average makes keeping a decent batting average tough. There is some good news for Hosmer however. His walk rate, which was elite for a rookie, has jumped again, to 8.5% of total at-bats, which is above the league average, and is a very difficult skill for a hitter to master. His BABIP is .191, which is almost criminally unfair and should come up with normal regression. Hosmer has been making solid contact but hitting the ball straight at fielders. Once some of these hard hit balls start dropping for hits, his average will come up. Hosmer is excellent at pitch recognition and has a good knowledge of the strike zone. 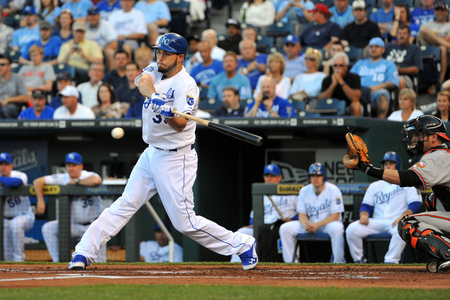 His play will eventually improve and the Royals are wise to let him work out his issues. According to the statistic Wins Above Replacement, Ike Davis has been the worst player in baseball this season, worth -1.2 wins. His problems are abundant so far this season, but his biggest issue is his 44-10 strikeout to walk rate. This issue has led to a triple slash of .164/.218/.295,, all of which are absurdly low for a 1st baseman. In addition to being abysmal with the bat, Davis has made 4 errors, which is 2nd most out of NL 1st baseman, and has otherwise looked mediocre with the leather as well. Until Davis stops striking out in 28.2% of his at-bats and begins to draw more walks he will not improve much at the plate. Like Hosmer he has also been hurt by a BABIP under .200, but when you’re giving away more than a quarter of your at-bats, it’s tough to hit for average or power. So much has gone right for the Mets this season, leading to a 24-21 record in a tough division, but Davis has been a disappointment. The Mets considered demoting Davis a couple days ago, but have decided against the proposition, and will continue to give him chances at the plate. 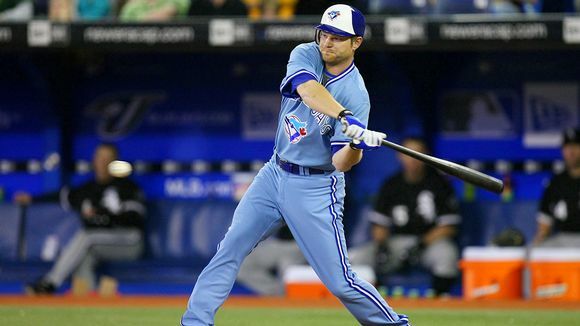 For the most part the Toronto Blue Jays have enjoyed a successful start to the 2012 season, with the noted exception of Adam Lind. Lind was off to a putrid start, hitting .186/.273/.314, accumulating only 37 bases in 118 at-bats. Lind has never been the same player who won a Silver Slugger award at age 25, and he has declined each season since. Lind was demoted nearly 2 weeks ago, down to the Triple-A Las Vegas 51’s, and got off to a nice start, hitting .500 in his first 3 games. Lind’s biggest issue has been his complete inability to hit left-handers. At the time of his demotion he was only hitting .129 in over 30 plate appearances with just 1 extra-base hit. The Toronto 1st baseman has never exhibited more than the normal, league-average platoon split, but this year it’s been severely noticeable. Hopefully he can get his issues corrected in Las Vegas and become a contributing member of the Blue Jays, rather than a black hole in the lineup. The $180 million dollar man has only been worth his defense so far this season in New York. Teixeira is a notorious slow starter; with a career batting average 42 points lower than his norm in April. Unfortunately for the Yankees, those struggles have continued into May this season. Tex is hitting an anemic .226/.291/.381 with an OPS+ nearly 20 points under the league average. Part of this issue may be due to a bronchial infection, but it’s more than likely that some of Teixeira’s problems have to due with a drop in bat speed as well as walks. The Yankees 1st baseman is picking up fewer free passes than at any point in his career, walking only 8.1% of the time, the 1st time he’s been under 10% since 2005. His line drive rate has also been steadily dropping since 2010, and now it’s at a career low 14% this season. While Teixeira is still playing his trademark Gold Glove defense, the reason he is so highly compensated is that he is expected to drive in runs and slug the ball. If he can get his bat going again, the Yankees could evolve into a legitimate threat to the Texas Rangers for AL supremacy, if not, they may struggle to get to the playoffs in a deep AL East. Justin Smoak has now accumulated over 1000 career major league plate appearances and is a .224/.306/.373 hitter, good for an 89 OPS+. His best batting average in any of his major league seasons has been an anemic .239. He has only hit above the league average in OPS+ once in his career and is having his worst season in 2012 by far, hitting only .209/.251/.316 with 5 homers and 15 RBI. Smoak doesn’t draw walks, receiving only 9 this year in 167 plate appearances, and whiffs a ton, going down swinging in 24% of his at-bats. Its worth asking if the Mariners should move past Smoak and begin looking for another 1st baseman, because he doesn’t look like he will ever develop into a league average player. The Mariners don’t have many options in at the big league level or in the minors. Dennis Raben has hit well in the low minors, but its tough to project a hitter that hasn’t been above high-A ball yet, and is so far away from the Major Leagues. Smoak will probably be given many more at-bats, because he is only 25, but he needs to start producing soon, especially if the Mariners want to turn around their losing ways. The 2012 American League West is one of the most top-heavy in baseball. The Texas Rangers and Los Angeles Angels of Anaheim are star-studded teams that will probably eclipse the 90 win plateau. Seattle and Oakland, not so much. Let’s take a look. The Texas Rangers 2012 season has one goal and one goal only: get to the World Series and finish the job this time. After two consecutive American League pennants, Texas enters the season as the odds on favorite and their most talented team ever. The offense remains elite, with solid to great hitters 1-9, and now the pitching is getting up to speed as well. Texas has all the ingredients of a World Series winner, it’s just a matter of finishing the job this time around. The Rangers offense should once again finish in the top-3 in baseball after ranking 3rd a year ago, a comfortable 64 runs ahead of the 4th place Tigers. Texas has a balanced attack, with 6 hitters that had an OPS+ above league average in 2011. The heart of the lineup is ferocious, with 2012 MVP Josh Hamilton surrounded by Adrian Beltre, Nelson Cruz, Mike Napoli, and Ian Kinsler. Only the Yankees and Red Sox have this sort of firepower and its no coincidence that these 3 teams all won 90+ games a year ago. All 5 of the aforementioned players are a threat to hit 30+ homers, making Texas the most powerful lineup in baseball. Many of these sluggers, including Hamilton, Napoli, and Beltre also have the ability to post a batting average over .300 as well. The Rangers also have plenty of speed to go with all that power, finishing 5th in the baseball in steals a year ago. Texas prides themselves on taking the extra base, and plays with one of the most aggressive approaches in baseball. Manager Ron Washington always has the green light on, and this puts extra pressure on a pitching staff. The double play duo of Kinsler and Elvis Andrus sets up the rest of the lineup, applying pressure on the opposition, and combining for 67 steals a year ago. For a long writeup on the Rangers rotation check here. The Texas bullpen should once again be deep and talented too. Newcomer Joe Nathan has had some injury problems, but should provide elite production in the back of the ‘pen. When health he posted 5 straight seasons of 35+ saves with an ERA south of 2.20. The rest of the bullpen is a good mix of lefties and righties, featuring Mike Adams, Koji Uehara, and Alexi Ogando. This should be one of the best end game units in the league, and will make Texas tough to beat. 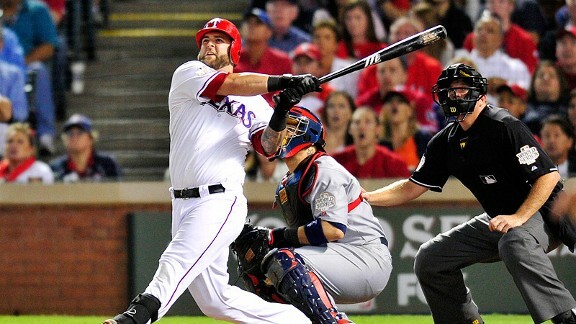 The Rangers enter 2012 as the favorites in the American League for the first time. Despite there defending AL champion status a year ago, Boston was seen as a heavy favorite in the spring in 2011, but this year is different. Yu Darvish is aboard, the rotation is deep, the lineup deeper, and the bullpen is lock down good. Expect another year of October baseball in Texas. 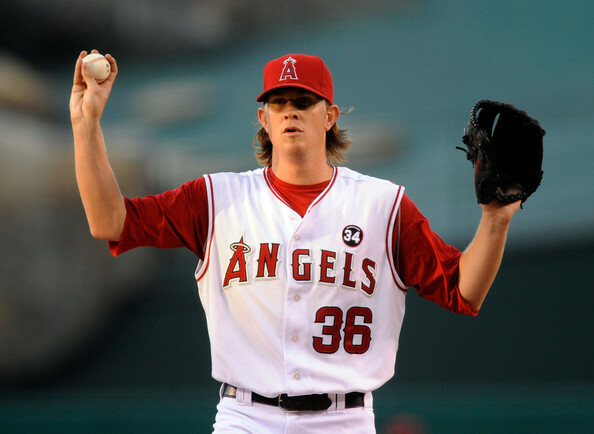 The unanimous winners of the 2011-12 offseason were the Los Angeles Angels. By adding the best hitter in baseball, Albert Pujols, and stealing CJ Wilson away from rival Texas, LA has set itself up nicely for a return to the promised land after a season away. The Angels will have one of the best rotations in the American League after finishing 2nd in runs allowed a year ago, 7th overall. The offense will have more power, with Pujols and Kendry Morales making a return from injury, so expect improvement from a unit that finished 17th in baseball. The battle out west between Texas and Los Angeles will rage all season and probably won’t be decided until the last week or two, so every run matters. The Angels bold move to snag Albert Pujols this offseason signaled that the franchise was going all-in. Pujols will make an obscene $254 million over the course of his backloaded 10 year deal, and will have to put up monster numbers early to earn his keep. Pujols will be making $12 mil this year and $16 mil next, but will make 29 mil for his age-39 season and $30 mil for his age-40 season. Numbers that could cripple the Angels in the future, but his current production will be worth it. Pujols 162 game average is ridiculous and jaw-dropping. He averages .328/.420/.617 with 42 homers and 126 RBIs. The Angels need this sort of run producer, after a season in which not one player accumulated over 90 RBI. Pujols has never failed to do that, and has only failed once to get 100 ribbies, last year when he drove in 99. 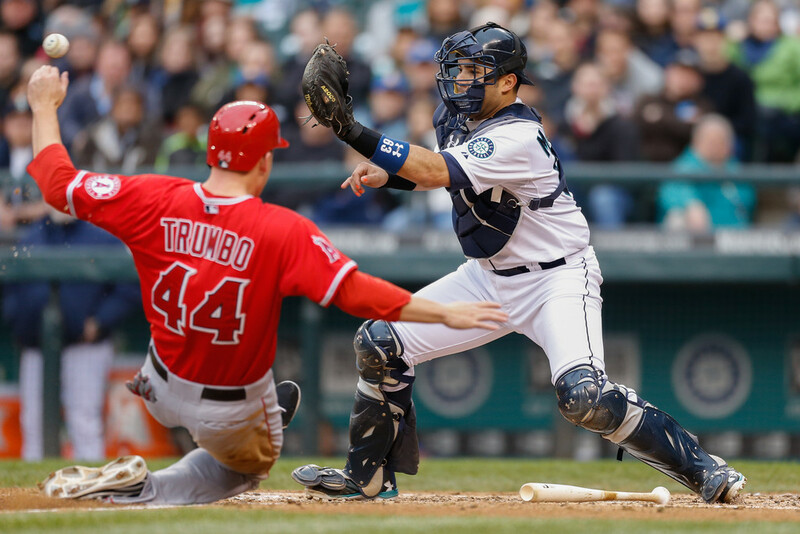 If Kendry Morales can return successfully, the Angels will have a fearsome heart of the order. Morales was a MVP candidate during his only full season, hitting .306/.355/.569 with 34 home runs and 108 RBI. A 25 homer, .280 batting average seems doable and would provide a big boost to the club. The rest of the Angels’ lineup is either aging poorly or is under 26. The Angels will ask veterans Torii Hunter and Wells to man the corner outfield positions around youngster Peter Bourjos. Hunter is still a productive veteran and brings excellent leadership to the clubhouse, but Wells would be better served in a reduced role. The Angels have youngster Mike Trout, who has the #1 rated prospect in baseball a year ago. Finding the 5-tool Trout at-bats and playing time would be an improvement over Wells and could add a win or two to the total. Bringing up Trout to play left or right field would also give the Angels excellent outfield defense, which could save a few runs for the pitching staff. In adding CJ Wilson to what was the 2nd best staff in the AL a year ago, LA made another move to catch the Rangers. Jered Weaver and Dan Haren are a playoff caliber top-2 who won a combined 34 games in 2011 while posting sub-3.20 ERAs. Each pitcher has a strong fastball, locates their pitches well, and they both pile up strikeouts. Wilson, despite his playoff struggles, provides another top of the rotation arm, and slots in nicely in the #3 spot. He is capable of winning 15 games with a sub-3.50 ERA. Ervin Santana, the 4th starter, had a breakout year in 2011, throwing for a 3.38 ERA in 220 innings with 7 strikeouts per 9. The Angels will need to find the right mix in their bullpen. Jordan Walden will be entering his 2nd season in the bigs and was able to compile 32 saves a year ago while striking out more than a batter per inning. He has an issue allowing too many base runners, leading to an average 2.98 ERA. Overall the LA Angels have plenty of star power and are a good bet to win 90 games. Texas has a deeper roster but the Angels may have the best players. If the Angels find a way to get Mike Trout in the lineup and platoon Wells and Abreau, they could sneak past Texas and avoid the Wild Card round. If not they will still be able to keep pace with the Rangers and are in for a season-long dogfight. Oakland has a very good chance to be the worst team in baseball during 2012, and will probably be the worst team in the American League. After a somewhat disappointing year in 2011, finishing 74-88, Billy Beane decided that it was time for another tear down. Gone are Trevor Cahill, Gio Gonzalez, Daric Barton, and David DeJesus and in their place is Yoenis Cespedes, Bartolo Colon, and not much else. The offense will struggle to score against everyone, and the pitching staff is comically shallow. Billy Beane has not won so much as an American League pennant since becoming GM in 1997 and hasn’t sniffed the playoffs since 2006, so maybe his way of doing things isn’t working anymore. The offense has only one potential star, and only a few players who would start on other major league teams. Yoenis Cespedes is the future of the franchise, a 26-year old, powerfully built outfielder who hasn’t met a pitch he doesn’t love. He will probably experience some growing pains this season, but is immensely fun to watch. He has shown the ability to hit the ball with big power, going deep in his second major league game. He is going to have a strikeout problem, probably finishing with around 150, but he has the ability hit 30 homers in the Coliseum, a difficult feat. The rest of the rest of the up-the-middle defense is Cliff Pennington, Jemile Weeks, and Kurt Suzuki. Suzuki and Pennington are major league average players at their peaks and both were not last year. Weeks has some potential, hitting .306 in 400 at bats. He could develop into a decent base stealer, but last year was thrown out on 1/3 of his attempts, a rate that has to improve. Coco Crisp, the left fielder, can also steal bases, nabbing 49 a year ago. The rest of the offense is completely uninspiring and will not put up many runs. The pitching staff, a strength in 2010 and 2011, will probably see some drop off in 2012. Their projected top-5 is Brandon McCarthy, Bartolo Colon, Tom Milone, Tyson Ross, and Graham Godfrey. There will be plenty of long days in Texas, Los Angeles, where Oakland is pounded by a 6-1 or 8-2 mark. Both McCarthy and Colon looked good in their first 2 starts, but McCarthy is a #2 or #3 starter masquerading as an ace, and Colon, at age 38, will probably wear down like he did a year ago as the season gets into July. Billy Beane has been given a lot of credit for furthering the use of sabermetric statistics in baseball, but it may not be working or the rest of the league has caught up. Oakland is probably looking at 2-4 more losing seasons at minimum, which would be an extremely long run of mediocrity. Beane is given too much credit constantly and needs to be reassessed for what he is: a mediocre GM at best, who found an edge, used it until everyone else caught on, and has failed to adjust. The Mariners have an excellent chance to be an improved team in the upcoming season, possessing a solid collection of young, talented players. Dustin Ackley, Jesus Montero, Felix Hernandez, Mike Carp, and Justin Smoak are all under 26 and have the potential to be an impressive core. The Mariners pitch isn’t as deep as it was a year ago, but the offense should be better, which will mean more wins and a shot at 3rd in the division. Felix Hernandez will have to carry the rotation, because the other 4 days the Mariners will be sending out a below average starting pitcher. King Felix looked downright nasty in his Opening Day start, striking out 5 while only allowing 1 run in 8 innings. Hernandez has had some of the toughest luck in baseball the past 2 seasons, going a combined 27-26 while posting a stellar 2.87 ERA, 11 complete games, and 454 strikeouts. If Seattle could scratch out a meager 4 runs a game, Hernandez would be a threat to win 20 games. The rest of the rotation isn’t looking so good following the trades of Doug Fister and Michael Pineda. Jason Vargas, Kevin Millwood, Hector Noesi, and Blake Beavan round out the rotation currently, and will probably get hit very hard. Vargas has the potential to be league average, but the rest of the unit is terrible. Millwood was unable to win a starting job on a rotation a year ago, and won’t be any better in 2012. Noesi is a 5th starter at best and Beaven shouldn’t be in a major league rotation. On days where the King rests, the Mariners will be hard pressed to win. The offense on the other hand is on the up-and-up after ranking as the worst in baseball the past 2 seasons. A full year of Dustin Ackley, Jesus Montero, and a healthy Justin Smoak should be able to improve that standing. 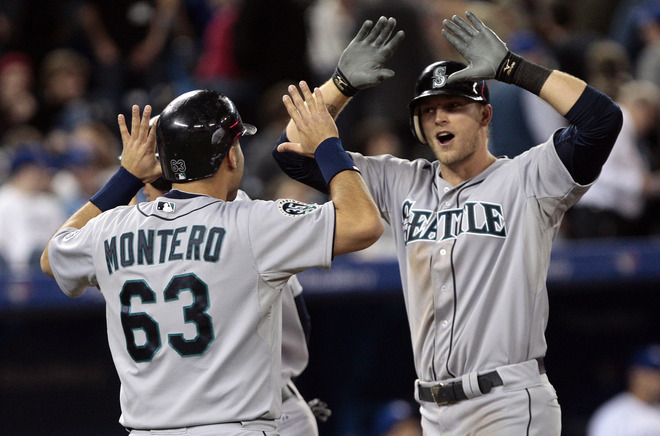 Ackley and Montero each had impressive major league debuts in 2011. Ackley in particular, has the look of a future All-Star at 2nd base. He was a corner fielder in college at North Carolina, where he hit for a high batting average with some decent power. Ackley has displayed both in his first 350 at bats, posting a Mariner’s best 117 OPS+. Montero massacred the ball in his short call-up in New York, batting .328 with 4 homers in 60+ at bats. He has been ranked as high as the #3 prospect in all of baseball, a tribute to his batting prowess. The rest of the Mariner offense is a collection of slap hitters, the best being Ichiro. Chone Figgins has been abysmal in his time in Seattle and posted a god-awful 38 OPS+ last year in 300 at bats. Finding even a cardboard cutout to play 3rd base would be n upgrade at this point. Weak-hitting/above-average fielding, Brendan Ryan is back at short again, and will probably provide what he usually does. Seattle is probably not good enough to compete with the powerful Rangers and Angels, even if everything breaks just right. The Mariners could, at best, finish around .500 but expecting much more is asking too much. Getting out of the division cellar, while continuing to develop young talent would count as a successful season in the Great Northwest. This division will be a 2-horse race between Texas and LA. Seattle and Oakland will fight for the bottom of the division and I give the edge to the Mariners because of Felix Hernandez. I like Texas to repeat as division champs for the 3rd year in a row with the Angels no more than 3 games behind. I think the lineup depth in Texas will win out over the course of a long season, giving the edge to the Rangers. First things first….REAL BASEBALL IS BACK!!!!!!!!!!!!!!!!!!!!!!!!!!!!!! Ok, now that that’s out of the way. Today was unofficially Opening Day in Tokyo between the Mariners and Athletics. The game was an exciting, low scoring pitchers dual between Felix Hernandez and Brandon McCarthy. Both pitchers were impressive, each allowing 1 run apiece in the 4th inning. When the game went into the 11th inning, still tied 1-1, that’s when things started to get interesting. Brendan Ryan led of the top of the inning by smacking a double, and then was advanced to 3rd on a sacrifice bunt by the anemic Chone Figgins. Dustin Ackley then came up to bat and smashed a single right back through the box, bringing in the go-ahead run. Ackley had 2 RBIs today, also driving a homerun to deep right-center field. The other Mariner who carried the day offensively was Ichiro, who at this point had a 3-4 day going, and came to the plate following Ackley. That’s when Eric Wedge and two talented base runners made their play. Ackley was put in motion by Wedge and stole 2nd of Kurt Suzuki. The move was an excellent call by the Seattle manager, because Suzuki only throws out a career 27% of baserunners, a relatively low mark. Ackley has also shown a decent ability to steal bases in his young career and he now stands a perfect 7-7 as a major leaguer. Wedge’s decision paid off when Ichiro was able to line his 4th hit of the game back up the middle. 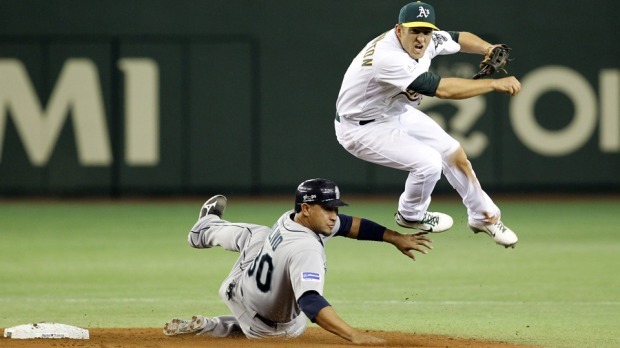 Ichiro also made a smart base running play as well. After he singled he drew the attention of the defense by immediately heading toward 2nd, ensuring that Ackley would score. The throw from centerfield more than likely wouldn’t have gotten Ackley at the plate, but in the 11th inning all that matters is getting that 1 all-important insurance run. It gives your pitcher an extra margin of error and enhances the pressure on your opponent. Seattle’s base running in the 11th inning was excellent and is a good indicator of things to come. The Mariners will need to be aggressive all season long in order to succeed. If the Mariners are to surprise in 2012, they will have to get as many runs as they can on the base paths. This team needs to take the extra base on hits, and manager Eric Wedge should be looking to steal frequently, especially against lighter-throwing catchers like Suzuki. -The Mariners middle of the line-up, Jesus Montero and Justin Smoak, otherwise known as the 2 players offered for Cliff Lee in 2010, struggled. They went a combined 0-9 with 1 K and 6 left on base. Every middle of the order has games like this. Hopefully for Seattle these type of things aren’t too frequent. -Yoenis Cespedes got his first major league hit, a double in the 7th, but otherwise struggled, striking out twice. 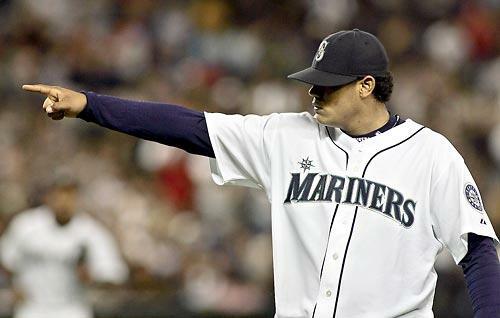 -King Felix looked masterful, and could be a top-3 Cy candidate if he keeps this up. His line: 8 IP, 5 hits, 0 walks, 6 K’s. Granted it was against Oakland, which will probably have one of the two worst offenses in the AL, but this was an excellent way to start the season.